The All India Anna Dravida Munnetra Kazhagam (AIADMK) said on 2 October that Tamil Nadu chief minister Jayalalithaa is recovering fast and will come back home soon. "Chief Minister is doing well, she is recovering very fast. 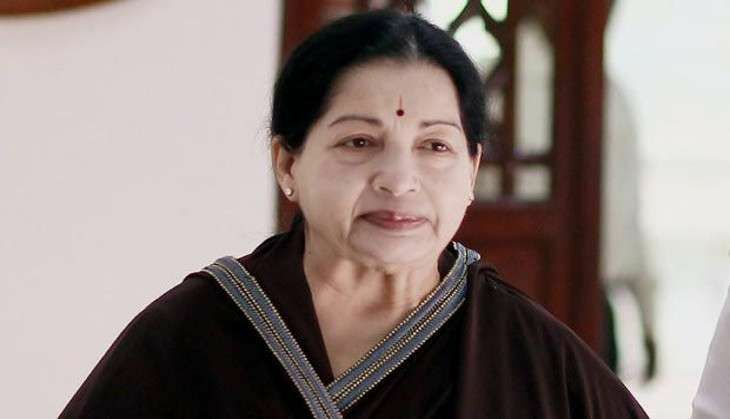 She is healthy and will come home very soon," AIADMK spokesperson CR Saraswathi said. Responding to Dravida Munnetra Kazhagam (DMK) chief M Karunanidhi's comment on Jayalalithaa health, Saraswathi said that no photos were required to prove that Jayalalithaa was not well and is taking treatment. The spokesperson alleged that the DMK was trying to make the CM's health a political issue. Karunanidhi on 30 September urged the Tamil Nadu government to "put an end to rumours" regarding the health of Jayalalithaa by providing proper information to the public. Jayalalithaa has been hospitalised in the Chennai Apollo Hospital since 23 September after she complained of fever and dehydration.